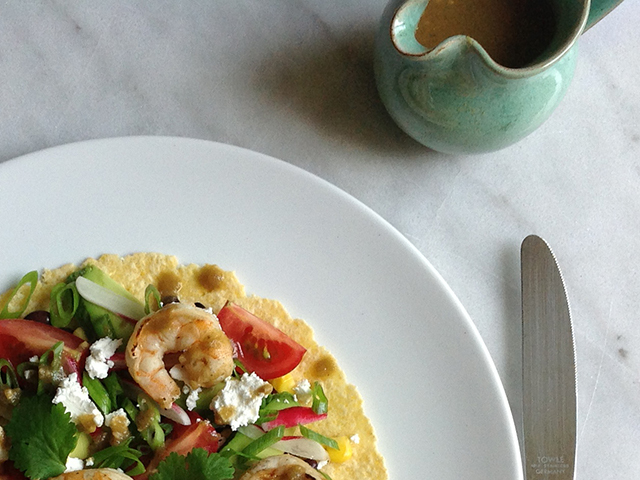 Substitute beef, chicken, salmon, roasted veg – you name it – for the shrimp. The marinade contains lime juice which starts to ‘cook’ the shrimp so make it a super short marinade – about 15 mins is all you need. I’ve listed a long supply of possible accompaniments but add and subtract as you like! Make the green chile sauce according the instructions on the packet and set aside. Wrap the tortillas in aluminum foil and place in a warm oven. 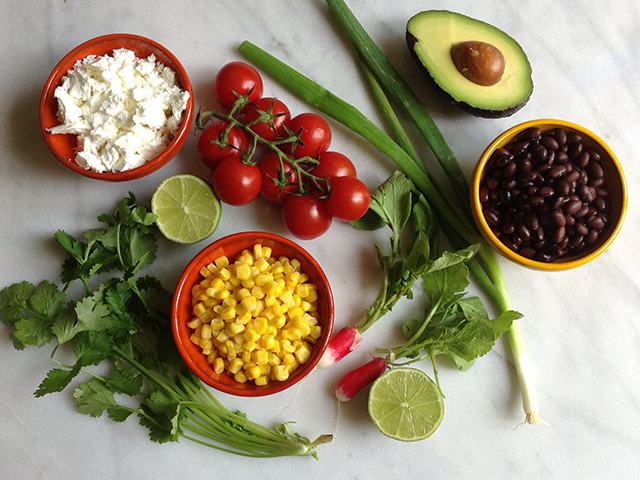 Place the rest of ingredients in individual serving bowls. 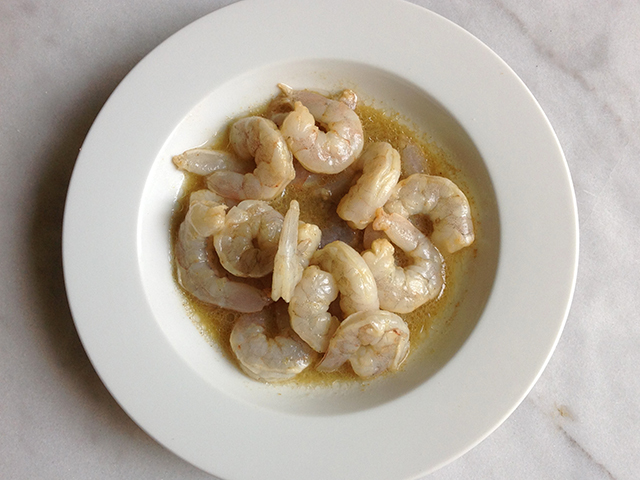 Mix the lime juice, vegetable oil and green chile powder together in a bowl then add the shrimp and toss to coat. Marinade for the shrimp for about 15-20 minutes. Meanwhile, heat the BBQ (alternatively you can sauté these in a frying pan). Place the shrimp on skewers and cook for a minute or two, turn and cook for another minute. When cooked through, remove and place the shrimp on a serving platter. 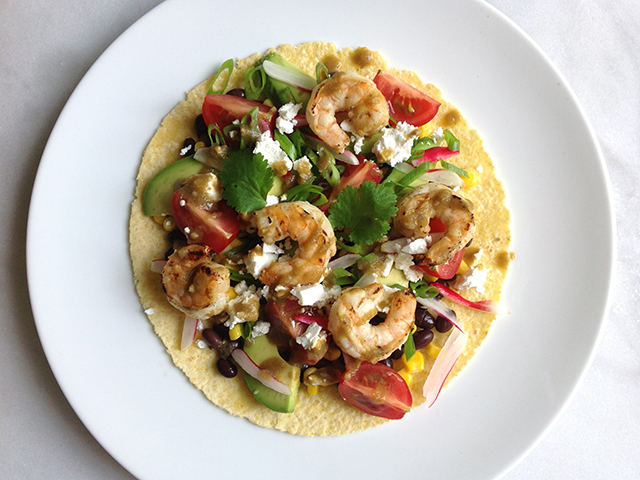 Take the tortillas out of the oven and place on the table with the other ingredients including the shrimp. Serve the green chile sauce on the side and enjoy!